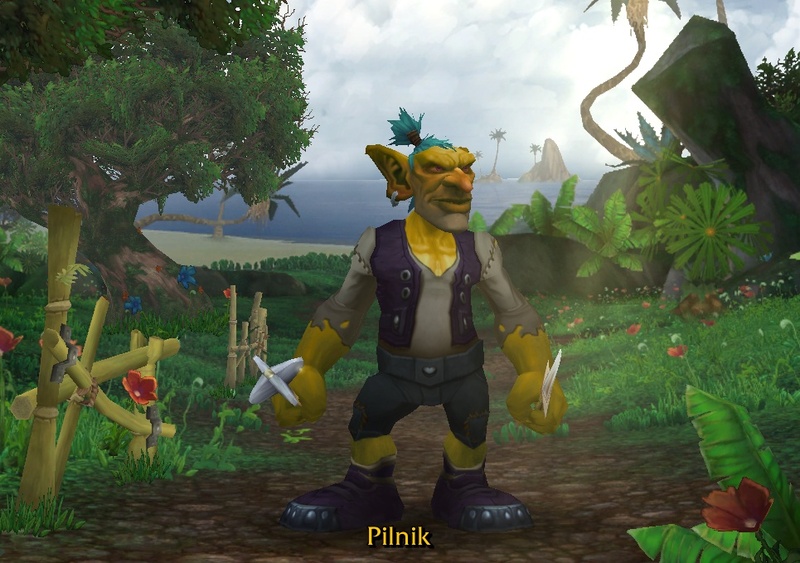 Pilnik, the Goblin Rogue — my first true Horde Character. As previously discussed in my post about never having played Horde, I planned on leveling a new Rogue and playing through as a Horde character to get a feel for the lore. It’s been several weeks since I posted about that, and had actually gotten started on this project a few weeks ago, but time constraints have kept me from posting. I’ve actually enjoyed playing as a Goblin so far, and I intend to keep at it until 100. 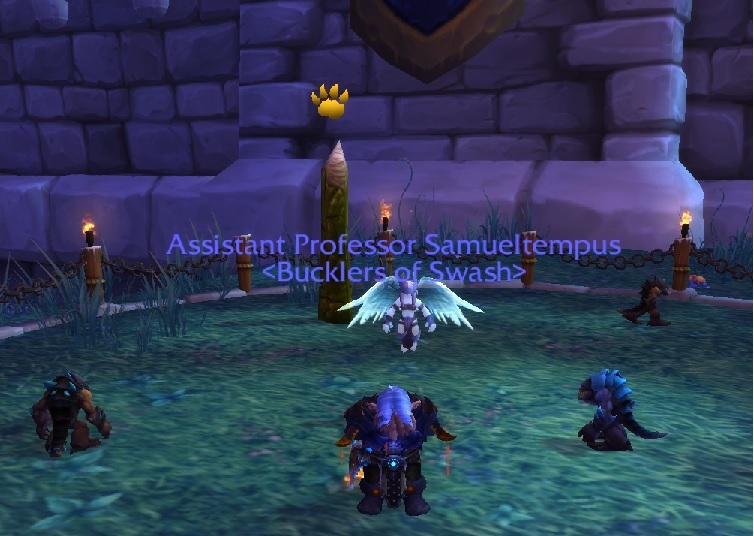 Sam mourns the loss of his daily garrison pet battle adventures. Patch 6.1 has brought some wonderful things to the game; it has never been easier to level an character and the Garrison has received some much needed quality of life updates. There have also been some changes to help encourage more people to participate in pet battles in Draenor. However, while some of these changes have been great, such as a free boost to 25 to anyone with a Menagerie, the changes to the actual pet battle daily in the Garrison are awful. Ill be the first to admit that getting into those dailies required an extensive amount of work; for many players they were too challenging and time consuming to make it worth even doing. Blizzard’s solution was to nerf the difficulty of the battles and I agree with their decision. Yet, I’m unhappy with the change, not because of the change itself, but because of the severity of that change. The original battles were challenging, but could be beaten with pets that were easy enough to acquire and level quickly if you were willing to put in the effort. An appropriate change to make this easier was a slight nerf to them so that you could substitute a few more pets here and there. The nerfs were so severe that I have run with the exact same team since patch day and I’ve never been in danger of losing a battle. I certainly hope that wasn’t the intent and that they overshot it a bit. I understand that it isn’t fun to lose the same battle repeatedly, but it’s even less fun to faceroll through a battle without much thought. That is indeed hyperbole, but my exaggeration is not far off. I have enough experience with pet battles to know which abilities to use and when, but that shouldn’t guaranteed me a win with any random pet combination; there should be at least some thought involved into the types of pets used. Perhaps my biggest concern was the nerf to the experience you receive post battle. You receive significantly less experience from the daily than you do from a random battle. I actually tested it today and a level 20 carry pet gained 73 (no that’s not a typo) experience from the daily battle and 693 from a random world battle. Small sample size aside, there’s no reason any battle against poor and common quality pets that are level 23 / 24 should give almost 10 times the experience of one against 3 rare level 25 pets. That makes me ask the question: What is the point of being able to fight the battle multiple times if there is next to no reward outside of the daily turn-in? It might not seem like it, but I’m glad they made changes to get more people involved. I have found pet battles to be an interesting addition to the game and it’s one of the reasons I decided to keep playing. I hope everyone that is getting more seriously into them now enjoys them and I still plan on writing a few posts to help. However, I’d be lying if I said that I was enjoying the Menagerie dailies in their current form. The lack of challenge just doesn’t interest me and were it not for the bag of pet spoils, I’d probably refrain from participating in them anymore. 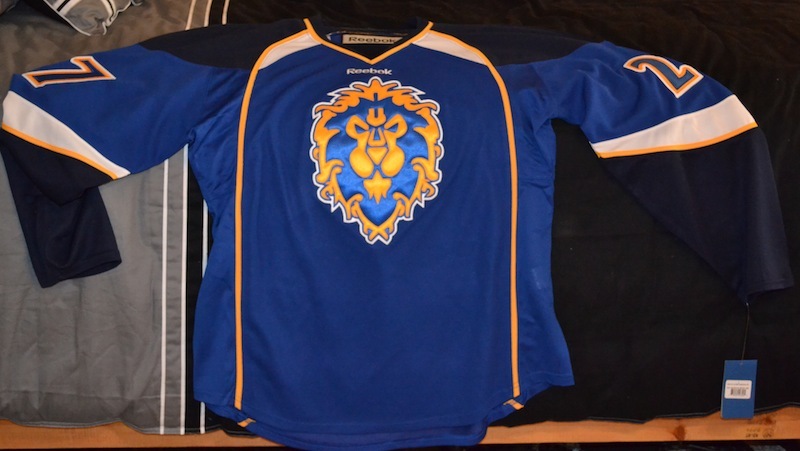 I am, and have always been an Alliance player. It’s not that I have any grudge against the Horde, I’ve just played with people that have also always played Alliance. I’m primarily a PvE player, and I’ve thoroughly played through most if not all of the Alliance quest-lines over the years. I know practically nothing about the Horde side, and I intend to rectify that issue. I’m not going to faction change any of my characters, but I did recently have an idea. Patch 6.1 and the new heirloom system will make it very easy to roll a new Horde Rogue. I intend to level through at least one character Horde-side in this patch, maybe more. I haven’t leveled a Rogue from scratch since BC, and if nothing else, it will help me write and update a lot of very out of date material on the blog. I don’t foresee any live-streams (I think watching me level would be less than exciting), but I do plan on blogging about the experience. I could use a little help getting started though. I am full on Lightbringer and I don’t want to delete any characters to make room. I want to know if anyone could recommend a good US server (PvE or PvP) that has a healthy population of Horde Players, but isn’t overcrowded. Also, I really am interested in learning more about the Horde culture and lore. If there are any zones or quest hubs that are unique to the Horde side that I should go out of my way to see, let me know. Finally, does anyone have a race recommendation? 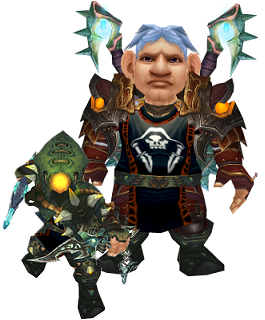 The easy choice would be Goblin, as I see them as the Gnome equivalent, but I’m open to anything, excepting Pandaren. Nothing against Pandas, but I’ve already seen that starting zone. Anyway, I’m excited to get this started soon, so let me know if you have any suggestions that would help. P.S. – Wouldn’t a BoA (Unique) 16 slot bag be a great addition to the game? With 6.1 launching next week, I thought I’d reflect on how I’ve perceived Warlords of Draenor to date. At launch, I was stymied by 6+ hour queues the first few days, which frustrated me, but I understood them. After the first week, I was well on my way to leveling Sam. I have enjoyed the 90-100 content three times now, but the first time was by far the best. The questing does a very good job of conveying the story line, especially if you take the time to read every quest. The reward for following the major quest lines were some of the best cinematics I’ve ever seen in a game. I could write an entire post that focuses on specific quests and cinematics, but I’ll save that for another time. I have really enjoyed Warlords of Draenor and while it certainly is in no way perfect, I view it in a very positive light. Today, I’d like to take a brief look into my thoughts on Garrisons and Dungeons / Raids, before talking about what I am looking forward to in 6.1. I’m very excited about a few of the additions coming in the patch, more specifically, what they mean for me personally. As referenced in my last entry, It has been quite some time since I walked this path. There was a time when I posted fairly regularly, and at least checked and replied to comments when that’s all I had the time to do. After writing again yesterday, it became apparent to me that I missed having an outlet to write, I’m very, very rusty at it and there’s quite a lot to do around here before I can really get to it. I’m working on that last point at the moment, but it seems at a snail’s pace. At least I’m not starting from scratch; I can start fresh from where I left off, more or less. Well, it sure has been quite a while. Three and a half years ago, I thought that I would be able to spend more time playing World of Warcraft, but alas, that was not the case. I didn’t really have the time, raiding was not going well and worst of all our server had become very imbalanced (10:1). My guild transferred servers, and in that process I was replaced as guild leader. The latter was understandable, but hurt nonetheless. I played sparingly from that point forward and eventually quit the game by the fall. I completely distanced myself from the game, including any thoughts of blogging. For that, I humbly apologize to any who might read this, and even those that don’t. It never sat well with me that I just gave up the blogging, but I didn’t really want to face the fact that I had quit something that had been such an important part of my life for several years. Again, I wouldn’t expect numerous or lengthy posts from me in the near future, but clearly if she’s this supportive, I should be back eventually. 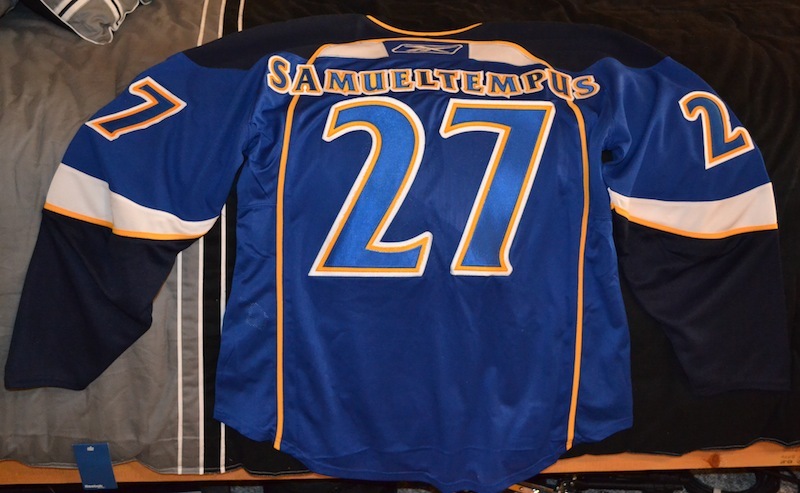 Oh and for those of you who are wondering, the 27 is my lucky number, and it goes on any jersey that doesn’t already have one. It’s not my age (unfortunately), but is related to my birthday, coming in 17 days….